Download pdf of KNEC KCSE 2018 Past Papers and start revising for your form four National Examinations. 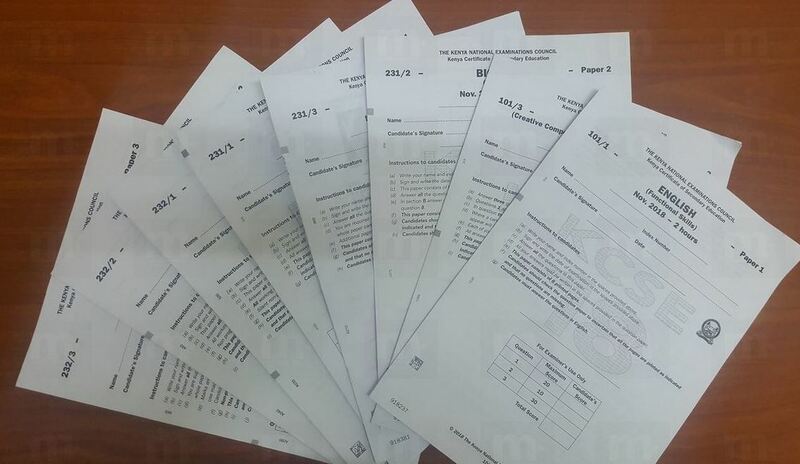 Revision papers come with Answers that is marking schemes from Kenya National Examination Council (KNEC). 2 Are KNEC KCSE 2018 Answers and Marking Schemes Available? 3 Free KCSE 2018 past papers? At the end of this post you will get to learn how to download KCSE 2018 Past papers. The papers are from KNEC. Are KNEC KCSE 2018 Answers and Marking Schemes Available? Answers and marking schemes for KCSE 2019 Papers will be available by mid-March 2019. This is when KNEC will release the marking schemes for public access. Currently what is available are only past papers. We will update this page once the KCSE 2018 marking schemes are released. Free KCSE 2018 past papers? To download past paper without Answers is Ksh. 50. 2019 is currently not available. You can get for 2018, 2017…. I need KCSE 2018 Computer Studies Paper 1, with answers, asap. Thanks! All past paper will be available on Muthurwa.com for download by April 10th 2019. You are trying to download from muthurwa.com or?